Create a blizzard of attendees by marketing your winter celebration with the Holiday Snowflake Postcard Mailer! Layered with delicate snowflakes, this contemporary template brings cool to seasonal style. Upload your logo or that of a sponsor into the available image spot. 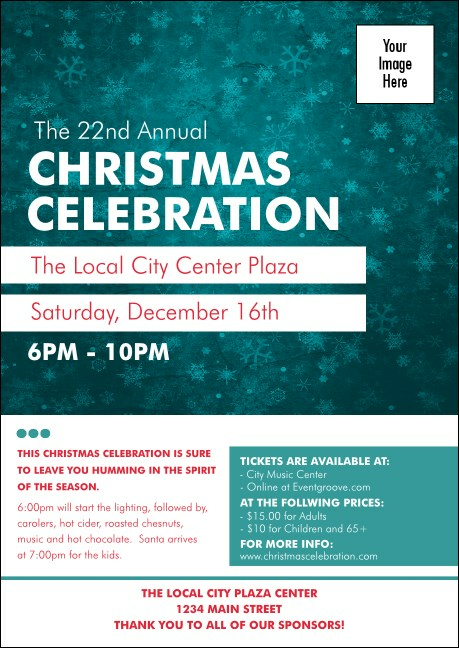 Measurements of printed postcard: 4.25" x 6"
Get festive and increase attendance with TicketPrinting.com postcard mailers.